Dates and films for 2019 have not been set yet. Recently listed in 100 Things to Do in Washington, DC Before You Die, this is our flagship event of the year. Our outdoor film series continues the rich cultural history of the community – the classic theaters of Adams Morgan were once the place to go to see first-run Hollywood films. 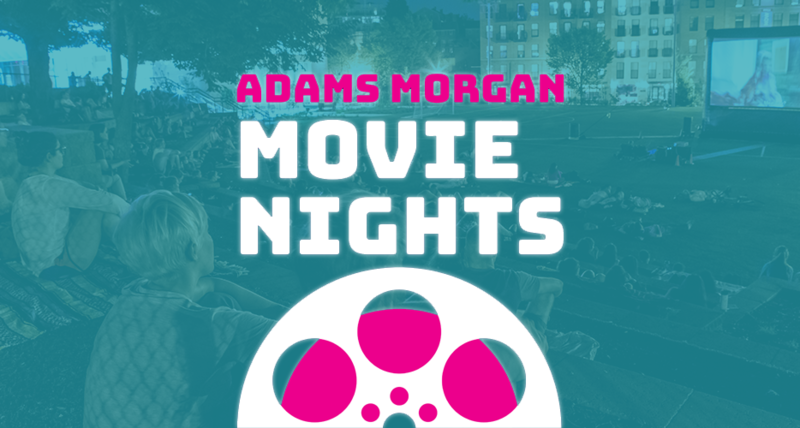 Movie Nights brings residents and visitors together, activating the Adams Morgan neighborhood. We kick off the series with a family friendly animated feature, then continue with an eclectic mix of award-winning, classic, and independent films shown on five Tuesdays in May and June. Our movie series attracts thousands of people for one of Washington’s favorite summer traditions: films under the stars.